Looking to improve productivity and efficiency in the workplace? Symmetry Office has you covered. This industry leading manufacturer takes pride in crafting some of the best workplace accessories on the market. In today's post we'll review the luxurious monitor mount systems, keyboard trays, and power solutions from this reputable brand. As visual fatigue can greatly hinder productivity, having your monitor at eye level is a must! A Symmetry Office monitor arm will help reduce eye strain with the ability to adjust your screens up and down quickly and effectively. 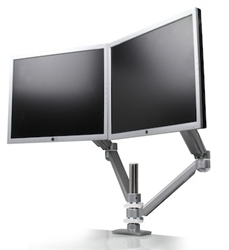 In addition, Symmetry Office monitor mounts will increase the amount of usable desk space present at your station. You'll have more surface area for writing notes and organizing stationary. Popular Symmetry mounts like the ALLURE-2-SS can be used in both sitting and standing positions. These top of the line units can attach via grommet holes or by clamping to the edge of a work surface. They are the best monitor mounting solutions on the market! Symmetry Office keyboard trays like the BALANCE-3-SW promote continuous movement in the workplace, reduce fatigue, and improve blood flow as they allow users to work from both sitting and standing positions. 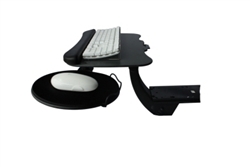 Symmetry keyboard trays are mounted underneath work surfaces so they don't take up valuable space on top of your desk. The sit to stand keyboard trays from the Balance collection include articulating mechanisms that allow your keyboard to move left, right, up, and down with ease. The wide range of adjustment capabilities make these units incredibly user friendly. Wether you're looking to streamline the meeting process or improve the guest waiting experience, Symmetry Office is ready to help your interiors be the best they can be with their high tech power modules. 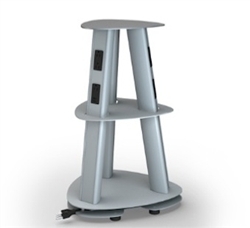 Units like the ISLE portable power tower can be used effectively in lounge, waiting room, reception area, conference room, and training environments. This luxurious office accessory boasts plenty of USB and AC inputs that allow users to quickly and easily charge devices. No more looking for wall outlets and running extension cords across your boardroom to host presentations. With the ISLE, you'll be ready for anything the modern workplace can throw at you! 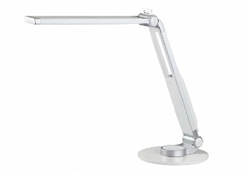 Shed some light on your workspace with an ergonomic task light from Symmetry Office. These top of the line LED desk lamps and hutch lighting solutions are sure to cut down on those hefty electric bills. Popular Symmetry Office lamps like the ASCEND doubt as USB charging stations. This means, you don't have to spend time hunting for outlets underneath your desk to charge devices. The ASCEND is perfect for both home and professional applications. Integrate tho desk light and charging station into your workstation and you'll wonder how you ever lived without it. 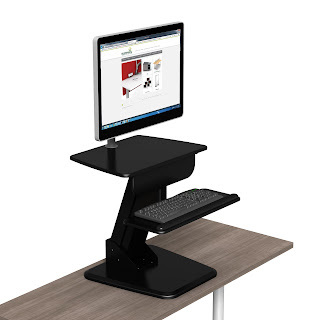 Symmetry Office also specializes in the provision of adjustable height workstations. As today's sit to stand desks typically come with a hefty price tag, finding a unit to meet your specific needs and budget can be a difficult task. Thankfully, Symmetry Office has the perfect solution. Their High Tide station can transform any reasonably sized surface into a high tech ergonomic desk that's ready to adapt at a moments notice. The High Tide station quickly attaches and can accommodate up to 2 computer screens for improved computing. Sometimes even the simplest products can make a big difference in workplace comfit and productivity. That being said, make the switch to the FR-1 adjustable ergonomic foot rest from Symmetry Office for just $62.99 and you'll see exactly what we mean. This thing works! 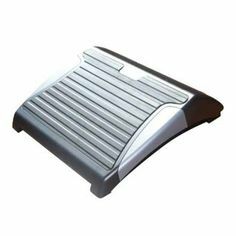 The FR-1foot rest promotes greater circulation in the legs while seated at your desk. It also helps people with chars that don't adjust to properly reach a supportive surface for th feet. The FR-1 will help eliminate pressure under the legs. The unit is also covered by an anti-fatigue rubber mat to help you make it through those long days at the office.